The opportunity to incorporate fundamental and necessary sustainability, livability and design features cannot be missed if this development is to contribute in a practical, visual and meaningful way to the Sunshine Coast's sustainability vision. Such elements are critical for a development of this scale and the population it is projected to support. To have a healthy society and environment in the future, we need to objectively consider planning decisions in the face of increased population growth with outstanding urban planning providing social and green infrastructure. To achieve this, there needs to be exceptional intra-regional public transport such as light rail and rapid bus, low levels of pollution and waste, localised renewable energy, ambitious energy and water conservation programs, a focus on local food production , urban biodiversity and an inclusive community-orientated culture. 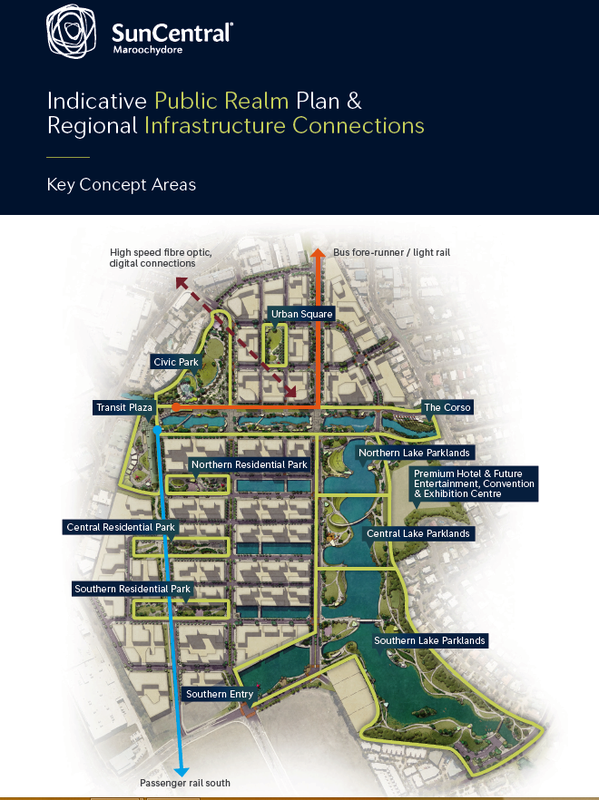 It's time for the region to raise the bar and demonstrate leadership in innovative planning for both commerical and residential development which respects our natural environment, amenity and character. The 'CBD' must be a beacon of ecologically sustainable development with the right mix of compact form, permeabilty and flow, not a blight on its surrounding land , sea and river scapes. After many years in the planning and design phase, preliminary construction work is about to begin on the new expanded city centre in the heart of the Sunshine Coast’s capital. 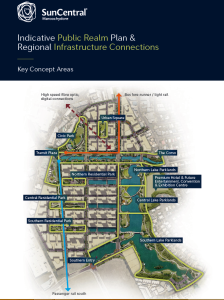 The vision is to transform a 53-hectare former golf course in Maroochydore into a 21st Century CBD, where the latest technology, smart city initiatives, innovation and sustainable design combine to create a unique and desirable destination for investors, employers, employees, residents and visitors. 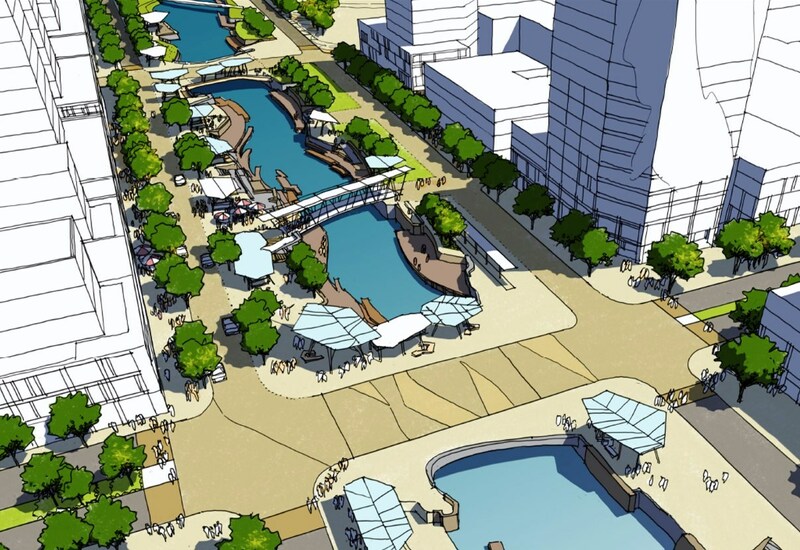 The 20-year project will deliver fully approved and serviced land for commercial, retail, residential, civic, cultural and community uses, with 40 per cent of the site to be parkland, open space and waterways. The company established by Council to oversee the project, SunCentral Maroochydore Pty Ltd, says it’s about urban consolidation, ensuring high density development occurs in appropriate locations while regionally, land with significant ecological value remains protected. There are numerous examples around the country of decaying urban areas being reborn as modern mixed use precincts but the opportunities that flow from developing a council-owned greenfield site within an existing urban area will set this project apart. The focus is on city-making objectives and achieving great outcomes for the community rather than maximising profits for a privately-owned or listed company, which allows those responsible for its design and delivery to elevate their ambitions for the site. New environmental targets that will promote a cleaner, healthier and socially responsive future for Maroochydore. 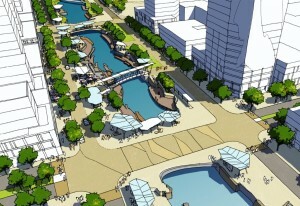 A walkable city centre where pedestrians and cyclists have priority over private vehicles. 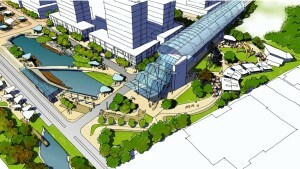 Subtropical design, energy efficiency, water cycle management and social and community facilities. The first stage of the project covers approximately 15 hectares of the site north of the Maud Street canal, where bulk earthworks and vegetation removal will commence in February. The land doesn’t support any protected flora or fauna species, having been extensively cleared decades ago to build the golf course, and the trees being removed will be mulched and reused on the site. SunCentral Maroochydore Pty Ltd is currently working on finalising design details and sustainability initiatives in order to secure a sustainability rating for the project and has indicated it would welcome input from the Sunshine Coast Environment Council as the development progresses.